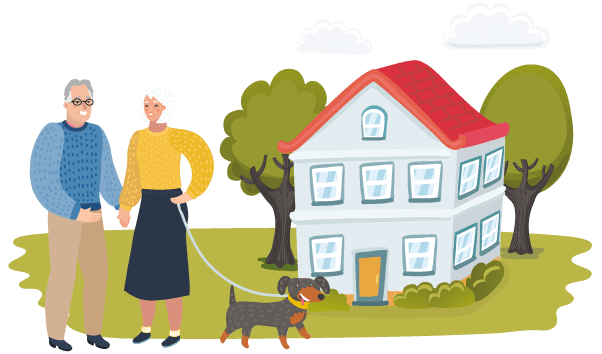 Girlings is the leading retirement property letting agent in the UK, for over 25 years we have been specialising in finding homes for independent living in later life. Currently we let and manage over 2700 properties in 600 developments. Offering most properties on ‘lifelong’ assured tenancies we can give the tenant control and peace of mind to live in their home for an unlimited time – no fear of the Landlord giving notice. Girlings are members of key governing bodies ARHM (Association of Retirement Housing Managers) and ARLA Propertymark (Association Residential Letting Agents), we believe it is important to ensure we are operating to the highest standards within the industry. We are fully endorsed by SAFE Agent which provides a mark of trust for Client Money protection and as a registered agent of The Property Ombudsman we are committed to high standards of service backed up by the codes and redress service. We like to keep things simple, the £200 tenancy set up fee includes all administration costs, a credit check, seeking references from previous landlords and employers, setting up the tenancy agreement and protecting your deposit. Unlike many other letting agents we DO NOT charge for additional tenants, guarantors, check in/ out inventories or tenancy renewals.